Maintain your competitive advantage – and your customers’ peace of mind. Safety is everyone’s priority with brake fluid replacement. Give your customers peace of mind by offering brake fluid service. Recommended by all vehicle manufacturers, brake fluid degradation is often overlooked because it is gradual. 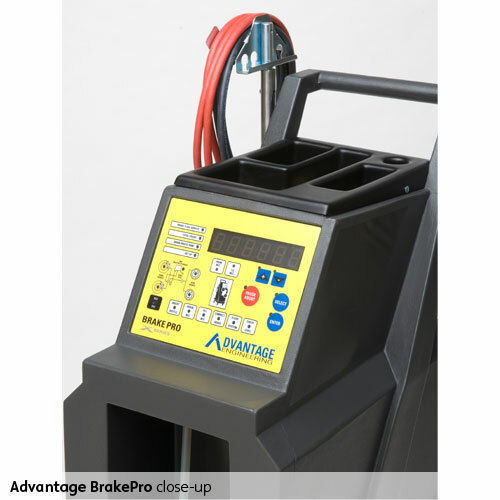 An ADVANTAGE ENGINEERING BRAKE PRO is a convenient, quick, and efficient way to evacuate and exchange brake fluid from most brake systems. It’s one of the fluid services that your customers can immediately notice when they drive away. 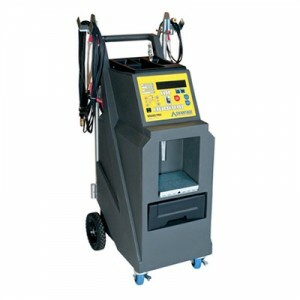 The easy to follow control panel will direct your technician through all of the steps required for a proper brake service. Extraction of old fluid from the master cylinder, topping off the master cylinder, and bleeding the brakes, one or four at a time, can be accomplished quickly. 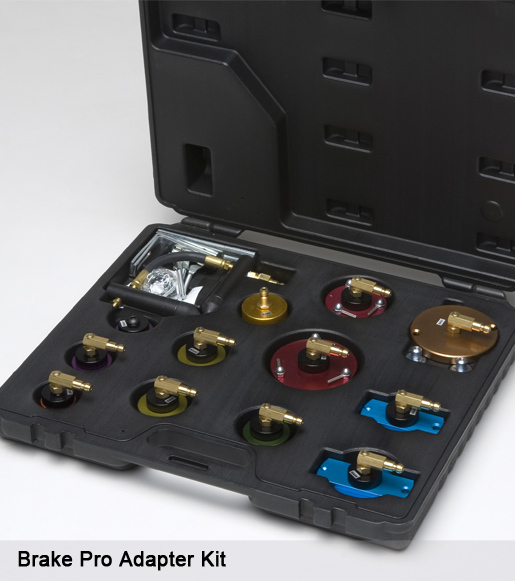 The ADVANTAGE ENGINEERING BRAKE PRO accommodates most new fluid container sizes. It features an adjustable scale with an automatic shuts off and includes a comprehensive kit of adapters for most brake systems. Why Brake Pro from AEC?